Bolgatty Palace is a palace built in 1744, by Dutch traders during Pre Colonial times of Kochi Kingdom. 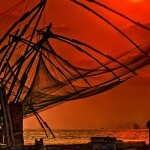 It is located in Bolgatty Island in Cochin City of Kerala India. It is one of the oldest Dutch palaces that is located outside Holland. Commander of Dutch Malabar used this palace as a residential palace . Later in 19th century it was captured by Britishers .The palace has a main block, a mansion block, which houses the palace rooms and a marina block which faces the marina. After Independence it was under the state and was converted to a heritage hotel resort. 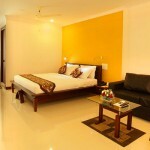 It has a swimming pool , 9 hole golf ground , Ayurveda center . It also hosts Daily Kathakali shows. 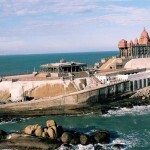 There are many Shiva Temples located in its area . Now it acts as a tourist holiday destination. 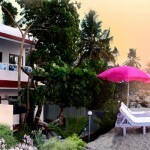 It is one of the most beautiful and luxury resort in Kerala. 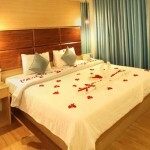 The resort combines leisure with business and it is, popularly known as the honeymooners’ paradise. The resort is neatly tucked among giant umbrellas of refreshing green and is sure to give an exotic island experience in Bolgatty. 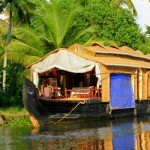 It is managed by KTDC a Kerala Govt Tourism Agency . 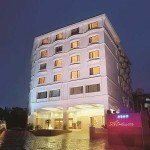 By Air – Cochin International Airport About 32 Km away. By Train – Ernakulam Junction About 6 Km away. It is a major Railway Station of Kerala and is connected to most cities of Kerala and other states. 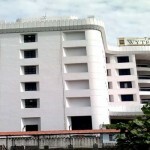 By Road – Kochi is well connected by road from all parts of the state as well as other major cities. To reach Bolgatty Palace you can either take the road journey or you can go by ferries . Ferries here run at regular interval .